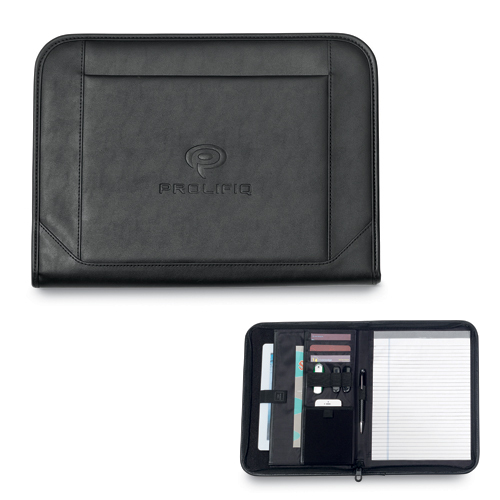 Endeavor E-Padfolio Multi-function organizer with a smartphone and tablet pocket.Contemporary styling features front slash pocket, 8 ½" x 11" paper pad and Pen or stylus loop. Tablet, Smartphone and Pen/Stylus not included). Simulated Leather. Bulk / 37 lbs / 25 pcs. / 24"L 11"H 16"Wbox.